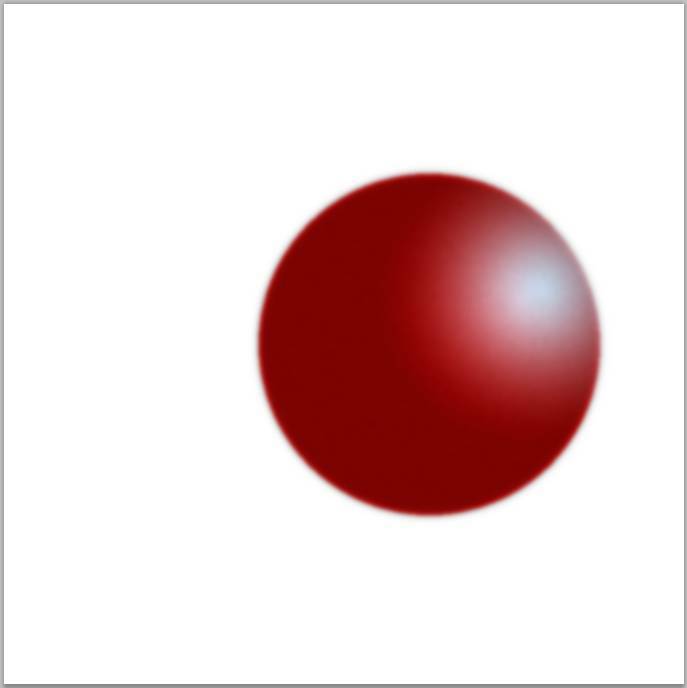 In this tutorial, you will learn to make Sphere primitives in Photoshop. 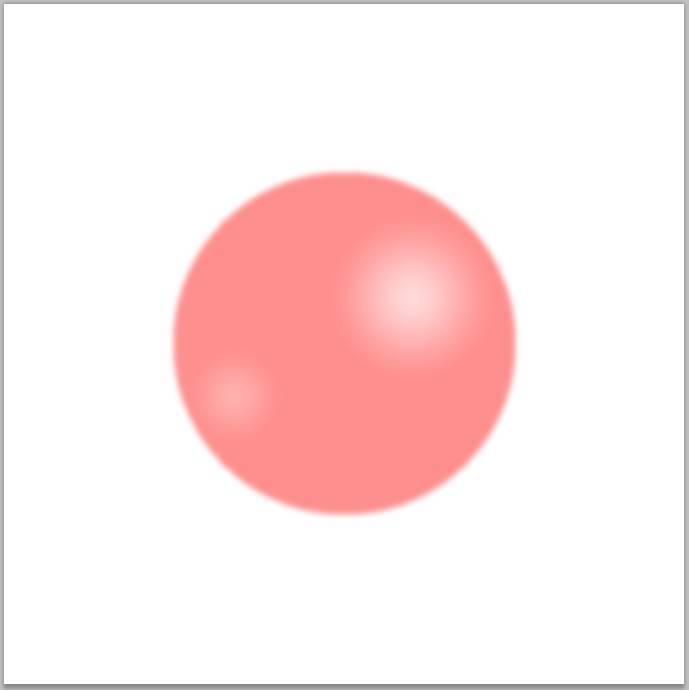 You could hand draw and paint a Sphere if you are a good artist, but by using gradients and outlines, you can create realistic images with depth. The Sphere is the easiest primitive object to create using Photoshop. Use the Elliptical Tool and the Shift key to draw the outline. A Radial Gradient is used to create the shiny spot on the sphere. Change the gradient direction on the Sphere and add a shadow for a more convincing view. The transparent version uses two Radial Gradients in different layers with the Opacity turned down on both layers. Finally you add a transparent shadow. 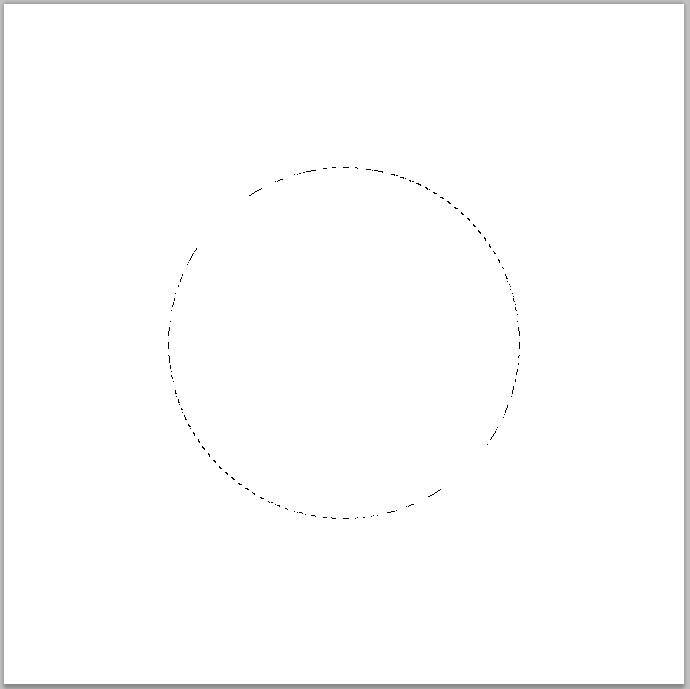 Open a new Photoshop project, 24x24cm square, and fill with white. Name it Base. Create a layer above it called Sphere. 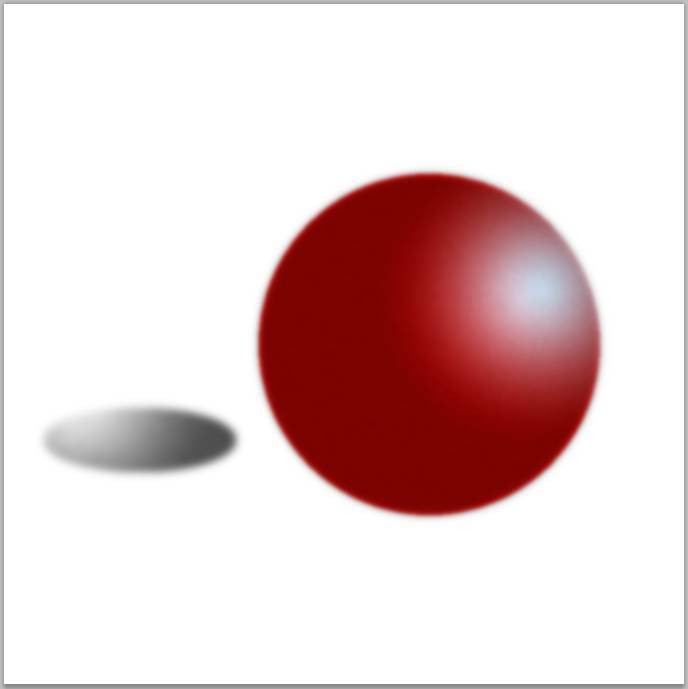 On the Sphere layer, Use the Elliptical tool to draw a circle selection. Change the foreground to red. Go to the Gradient tool and choose Radial Gradient. 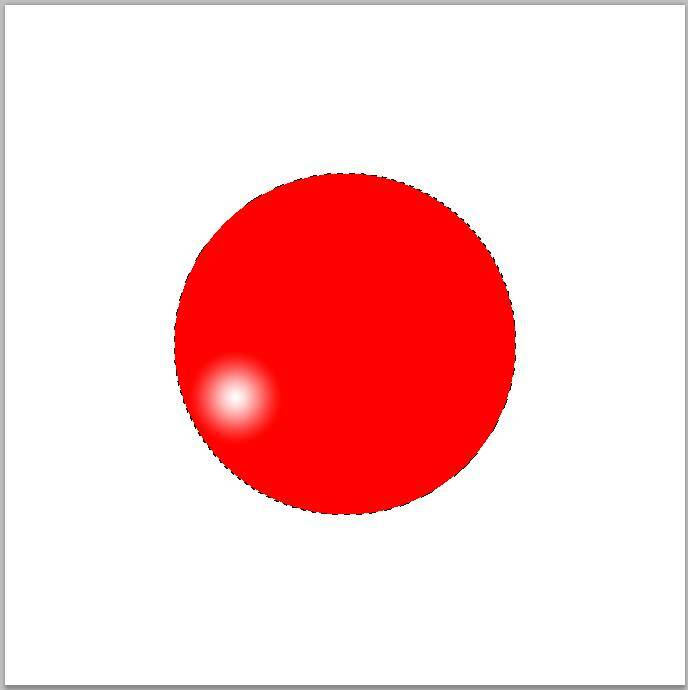 Create a shiny spot off center to the right. 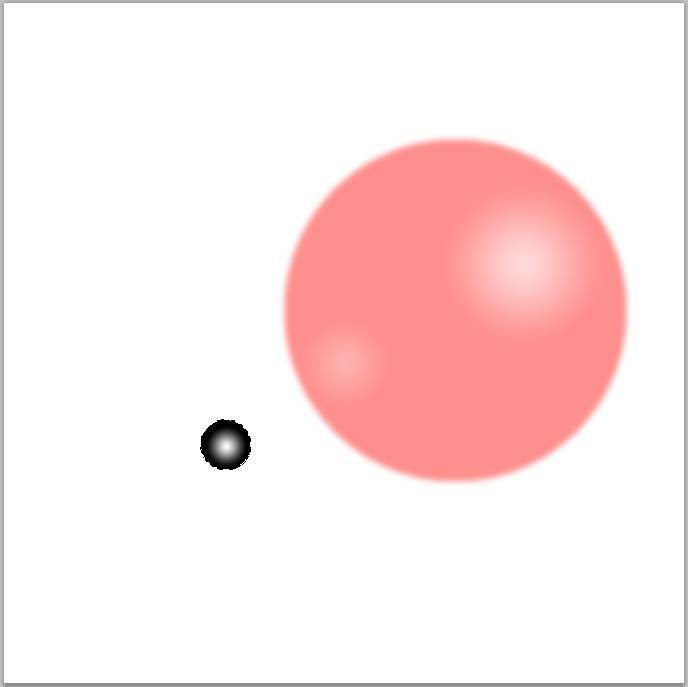 Create a gray Shade layer above the Sphere layer. Change the layer to Multiply. Change Opacity to 50%. Merge the Shade with the Sphere layer. Stay on the Sphere layer. On the menu go to Filter/Noise/Add Noise. Make a square selection over the Sphere. Then on the menu, Filter/Blur/Gaussian Blur. Radius=2 pixels. Make the same outline, but farther to the right. Use a red Radial Gradient again except on the top right side of the sphere. 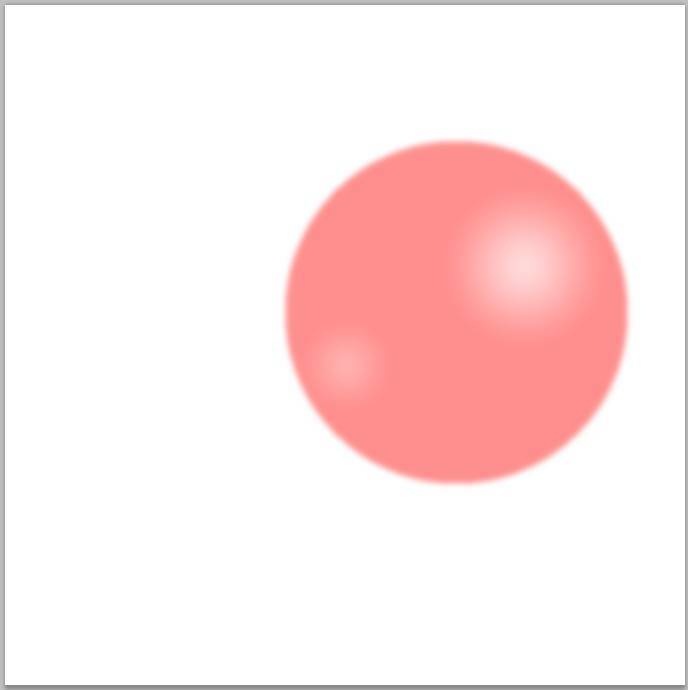 Create a Radial Gradient gray Shade layer above the Sphere layer. Change the layer to Multiply. Change Opacity to 50%. Merge the Shade and Sphere layers. Add some noise. Go toFilter/Noise/Add Noise. Make a square selection over the Sphere. Then on the menu, Filter/Blur/Gaussian Blur. Radius=2 pixels. Create a Shadow layer above the Base layer. 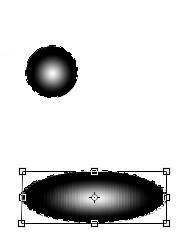 On the Shadow layer, create an oval selection to the left of the sphere. Choose a black Radial Gradient. Draw the gradient in the selection as seen below. Add noise. Go toFilter/Noise/Add Noise. Then make a square selection over the shadow, and go to Filter/Blur/Gaussian Blur. Radius=2 pixels. Bring down the Opacity of the Shadow layer. Final layer stack for shadow sphere. Create a Base layer and fill with white. Above the Base, put a layer called InsideTopRight. Stay on this layer. 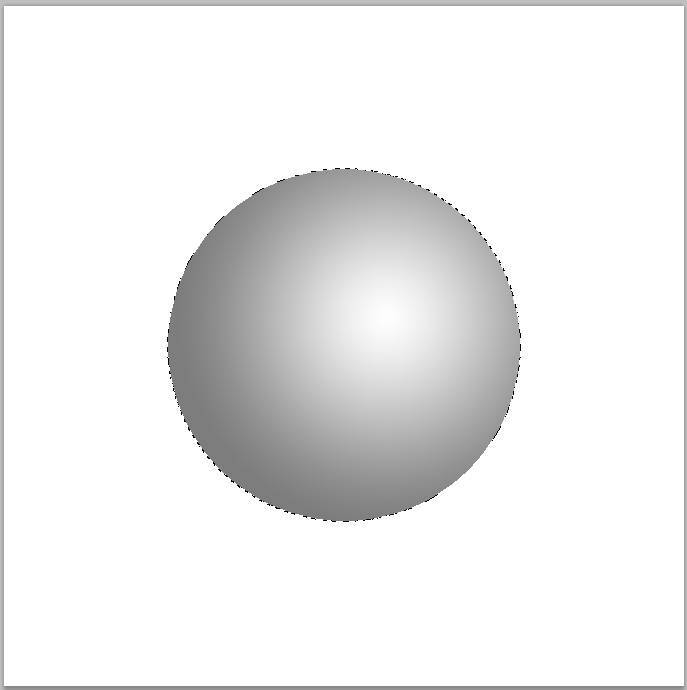 Use the Elliptical tool to create a sphere. Choose a red Radial Gradient. Create a new layer InsideBottomLeft. Create an opposite gradient to the lower left. Change the Opacity of the InsideTopRight layer to 30%. Change the Opacity of the InsideBottomLeft layer to 20%. Then make a square selection over the shadow, and go to Filter/Blur/Gaussian Blur. Radius=3 pixels. Collapse the top two layers. 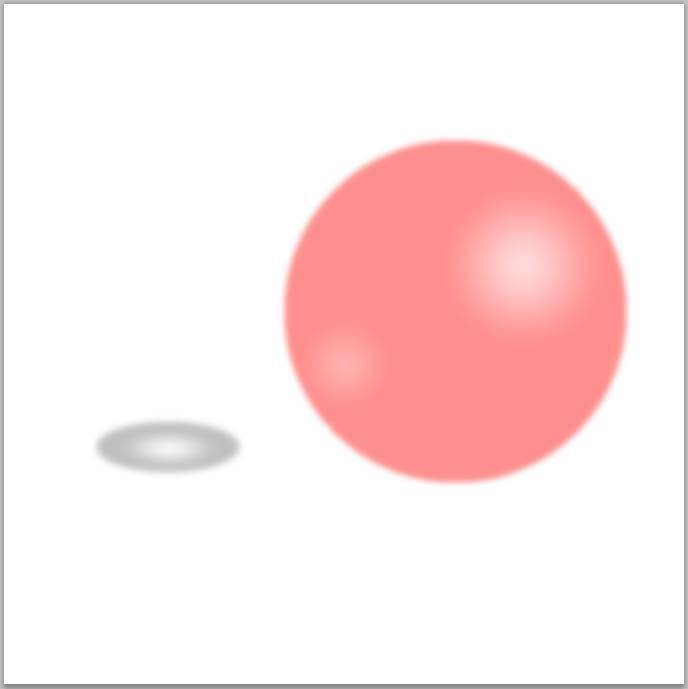 Use the Move tool to move the sphere over to the right a bit. 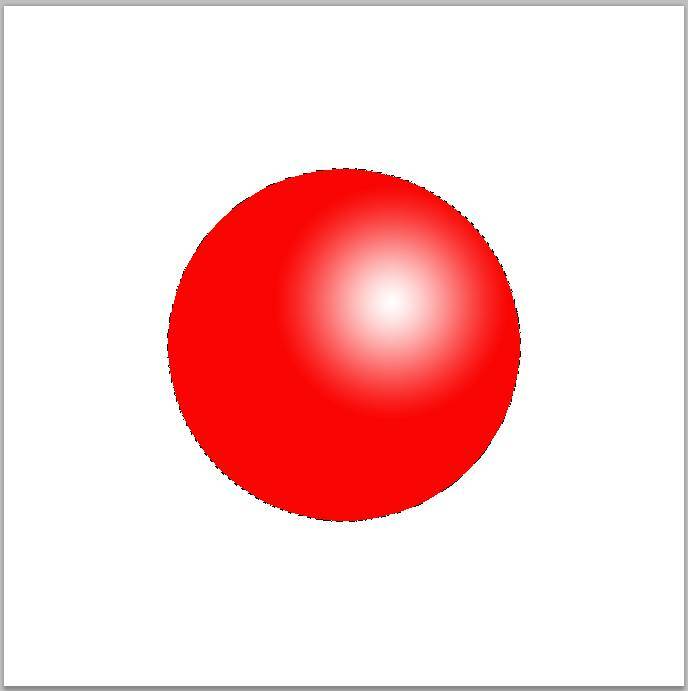 Create an oval selection to the left of the Sphere. Line up the two Radial gradients in the sphere with the shadow selection. Draw a black Radial Gradient in the selection as seen below. Go to Edit/Transform/Skew. Stretch the corners to widen the shadow. With the selection still on, add noise. Go toFilter/Noise/Add Noise. Blur the shadow layer. Go to Filter/Blur/Gaussian Blur. Radius=3 pixels.